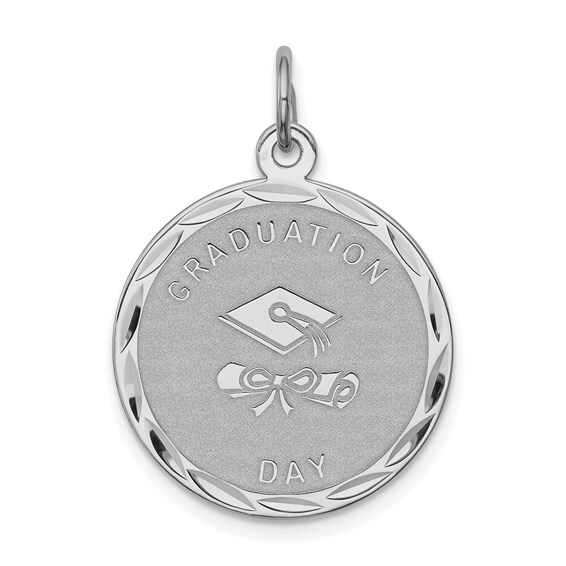 Sterling silver graduation day disc charm is engravable. Measures 3/4 inch tall by 3/4 inch wide without bail. This item is the size of a penny. Flat back is engravable upon request. Weight: 1.37 grams.